An empty street after rain. 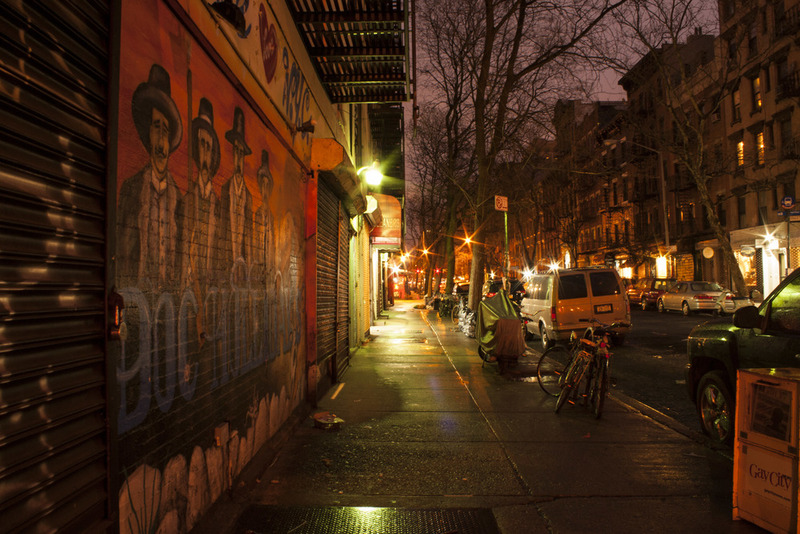 This is part of a project documenting early mornings in New York City's East Village neighborhood. A view towards Tompkins Square Park. 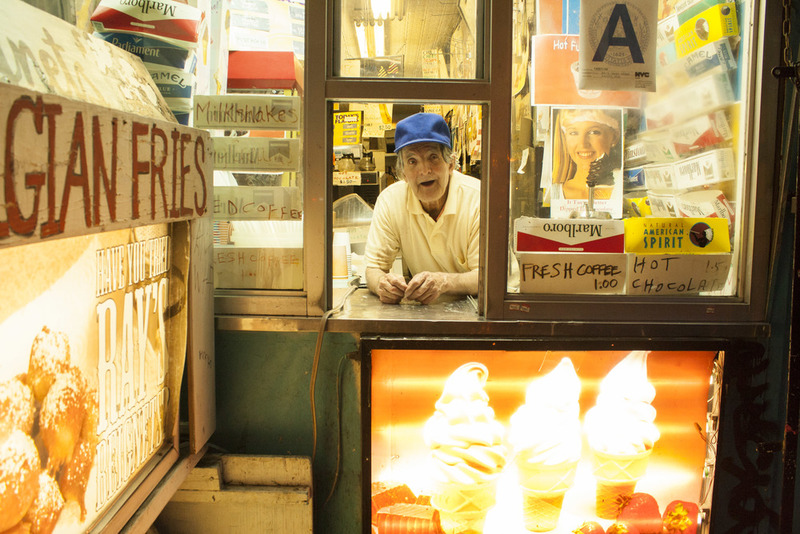 Ray Alvarez looks out the window of Ray's Candy Store, an institution since 1974. Alvarez, an Iranian immigrant, has nearly being evicted in the past, but locals have fundraised to keep him in business. An employee at Benny's Burritos cleans before opening. Brothers wait for the bus on a chilly winter morning. A man and his dog on Avenue B. Mother and child walk to school. 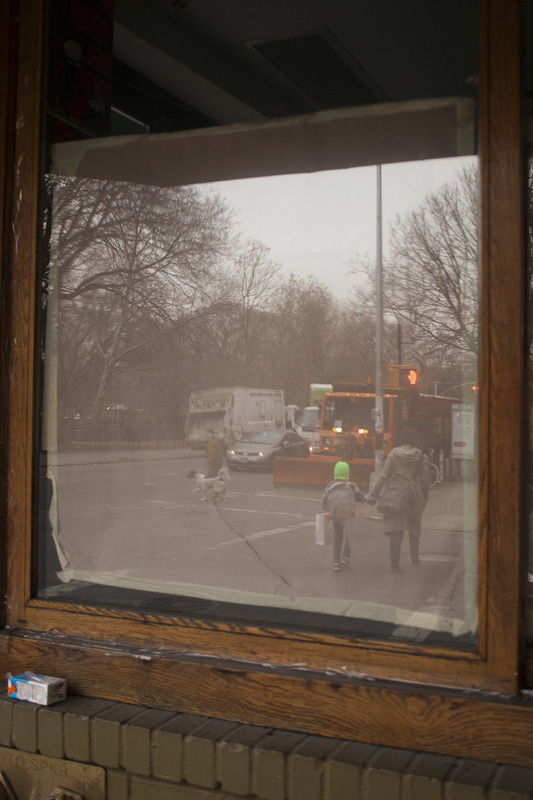 A man waits for the bus on Avenue A.
Reflections and bread on Avenue A.